Shawn Freeland, his wife Kristy and their two daughters live on their farm in Caputa where they run a cow/calf operation, stockers, registered Black Angus, beef finishing, as well as produce irrigated livestock forage. Additional positions held by Shawn include serving as a District 3 Director for the South Dakota Stock Growers, Director for the St. Germain Irrigating Company and member of SDARL Class VIII. 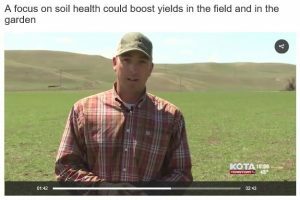 Shawn’s farm has been completely no-till since 2016. 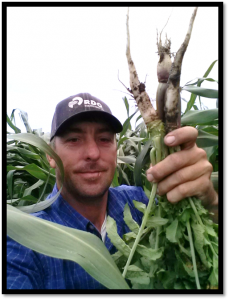 He also utilizes cover crops, livestock grazing of cover crops, managed intensive grazing practices and no longer uses synthetic fertilizer. Shawn and Kristy Freeland are one of the many ranch families in South Dakota who make animal care and sustainability a priority for their business. Though Shawn was the first in his family to live the ranch life, Kristy is continuing a tradition spanning multiple generations. 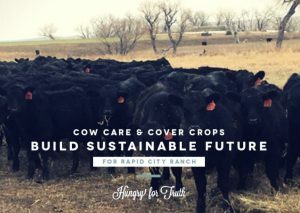 Together, they feed and take care of more than 400 cows that have room to roam across close to 10,000 acres of land near Rapid City.